When a pro-cyclist tells you that the Falls Creek edition of the Peaks Challenge is one of the hardest things he’s ever done on a bike, you should listen. 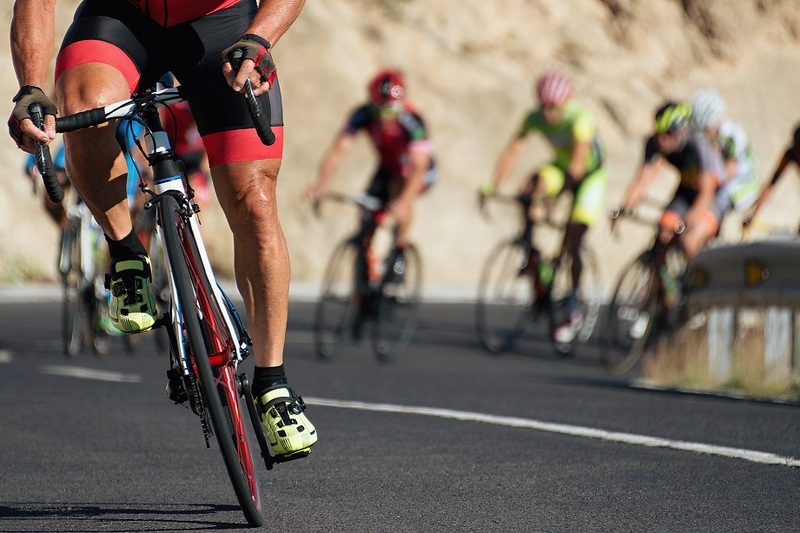 When experienced cyclists – ones with calf muscles thicker than their torsos – say they fought hard to complete the course in the 13-hour time limit, you should listen. When the whippet who weighs 50 kilograms dripping wet and spends every waking hour on his bike has a physical melt down on the final climb back to Falls Creek, you should take warning. This is not a ride to be taken lightly. As we wrote early last month, this is an event you need to train for. Seriously. It is why we have picked the brains of David Sturt of the Hurt Box to come up with a training program to help potential finishers hone their fitness before next year’s event. I wish I had followed a program. Instead I ended up in the Bus of Shame at the Dinner Plain lunch stop, a shuttle bus with the sole purpose of ferrying those who couldn’t make the distance back to Falls Creek. I always knew that I’d be racing the cut off times, but I expected to at least make it to the bottom of the infamous Back of Falls climb before being pulled off the course. In reality, I barely made it halfway! The trip back to Falls Creek took hours as the bus negotiated steep gradients, hairpin bends and narrow roads clogged with cyclists. Ironically, I probably could have ridden back quicker! I had plenty of time to contemplate that question as I sat there with all the other non-finishers. Here are six things that contributed to my failure. Take heed if you are contemplating next year’s event. I’d entered the 2017 Peaks Challenge almost a year out from the start date. I’d come off a reasonably good summer on the bike and my plan was to maintain that fitness throughout the brutal Ballarat winter and then crank up my training the following spring, peaking during the summer, and then hitting Falls Creek with bulging calves and quads. The first hiccup came during the aforementioned brutal Ballarat winter. Anyone who has ever spent time in Ballarat knows what I’m talking about. That wind that cuts right through you. The sideways rain. The sleet. The drab and dreary half-light. Even the most earnest declarations about riding no-matter-what are forgotten when the alarm sounds the next morning and your arm nearly gets frost bite as you reach out from beneath the blankets to hit the snooze button. Just five more minutes turns into another five, and before you know it the morning is half gone and domestic duties ensure that the bike stays in the shed. A program of any sort, even that far out from the event, may have proven the difference between riding and not riding. Weekly goals and an overall focus might have provided the necessary motivation to keep going. But alas, I just had my vague plan of ‘maintaining fitness’ and it was too easy to slacken off when the weather turned inclement. As a result I found myself chasing fitness when the weather did fine up. A knee injury that later kept me off the bike for four weeks throughout December and January only exacerbated the problem. I was playing catch up the whole time. The Peaks Challenge is Australia’s toughest recreational ride. Few of us weekend warriors have ever ridden anything like it before, so it makes sense that we should test the waters before the event. The closest I’d come to riding anything even remotely similar to the Peaks Challenge was the Otway Classic. The Otway Classic is 145 kilometres long with 1000+ vertical metres of climbing. I’ve done this ride twice, taking about six hours to complete it each time. The Peaks Challenge however is 235 kilometres long with 4000+ vertical metres and 30 kilometre climbs. The rides don’t compare. In the final weeks before the 2017 Peaks Challenge I was squeezing in one ride per week of 100 – 120 kilometres with 1000+ vertical metres along with two or three shorter spins to keep the legs ticking over. I wasn’t pushing myself into unknown territory. I needed too. While I am never going to spin up a mountain like Chris Froome, I’m not strong enough to grind my way up like Jan Ullrich either. Unfortunately that’s what I found myself doing. I placed too much faith in my bike’s triple chain-ring when really I should have paid a little more attention to the spread of my cassette. 30/25 was as low as I could go, and while it might have been adequate for most, for a 194 centimetre, 100 kilogram rider like myself, I needed a couple of extra options. A 27, 28 or even a 30 on the back would have made a world of difference. With the race leaving before sunrise and starting with a 30 kilometre down hill stretch, the wind chill factor can play a major part. Remember, I am from Ballarat. I know wind chill. I hate wind chill. I despise wind chill. So I rugged up. I put on the long legged kit, long gloves, arm warmers, a fleecy headband, shoe covers and wind jacket. And I cooked. I shed gear at a regular rate, but couldn’t do a complete change until I got to Harrietville. It made for a very uncomfortable couple of hours on the bike. I don’t know why I persist with energy bars. I can never eat them while riding. They stick in my throat and refuse to be swallowed. I’ve tried all the varieties and none seem to agree with me. The copious amounts of water it takes to wash them down leaves me bloated and uncomfortable. The same goes for energy drinks. They all upset my stomach, and trust me, the last thing you want during a 30 kilometre climb is an upset stomach. The big orange spew I left at the Dinner Plains rest stop is testament to how wrong I got my nutrition and hydration options. Sort out your nutrition way before the event. Experiment with different options. Don’t stop experimenting until you find a combination that you are comfortable with. For me, I’m back to bananas and water. From the time I entered the Peaks Challenge to the moment I rolled over the starting line on the morning of the ride, I thought of nothing else but the event. Barely a minute went by when I wasn’t thinking about it. I’d calculate estimated riding times for the various sections of the ride and adjust them on a daily basis, seeing how they compared to the cut off times. I studied the maps, I searched up and read other people’s accounts of the ride and I watched bike mounted go-pro footage on Youtube. I visualised myself spinning up the toughest climbs and gliding down the descents. By the time I got to the ride I was mentally exhausted. And this ride is just as much about the mental as it is the physical. I was spent before I even started. It is okay to plan thoroughly and try to cover every contingency, but make sure you take a break away from it as well. Trust me, you’ll reach the starting line feeling a lot fresher. These are just some of the mistakes I made during my first (and probably last) attempt on the Peaks Challenge. My enjoyment of the Challenge (and my desire to do another one) would no doubt have been far greater had I used a dedicated training program and personal coaching in the months leading into the ride. While I was disappointed not to have earned a finisher’s jersey, the experience was enormous. I’m hopeful this article will help you avoid some of the pitfalls I fell into. Are you doing the 2018 Peaks Challenge? Check out Bike Chaser’s free 12-week training program designed by head coach David Sturt. I had a DNF at my 1st 3 peaks attempt at 3 peaks Gold Coast,I learnt a lot from it and went with a coach for 3 peaks falls creek earlier this year,got through in just under 11 hours,coach gives structure and keeps you accountable,sessions on a bike trainer(smart Trainer if you can afford) is great Training especially for wet winters,3 months to 3 peaks falls and have started coaching again for another crack,there’s still time Sean to start training,have another go given the lessons you learned! Hi Cam, yeah, I know a coach and training program would probably get me through, but you know what? This summer I’m going to sit on the beach and take it easy. Perhaps I’ll saddle up again for the 2019 Peaks Challenge. It is a great experience. Good luck with your upcoming attempt. You’ll make it for sure. Some fair points, although I tend to disagree with the need to do a big ride similar to the 235km you will face on the day. I think people put too much pressure or emphasis on doing big, long (and slow) rides whereas they should focus more on shorter rides with sustained periods of climbing at intensity. I did Falls Creek Peaks Challenge a couple of years ago and did nothing longer than 140km in the three months beforehand. Also it is a lot easier to get the family on board with the event if you aren’t spending full days in the weekend out on the bike! Hi Richard, thanks for your thoughts. You’re right, finding the time to go for those big rides is hard, especially with work and family commitments. I think for me, never having ridden so far before, a ride of that magnitude beforehand would have been beneficial, just to see exactly where I was at with regards to my training. Then I could have tweaked a few things to make sure that I was really ready on the day. As it turned out, I probably wasn’t doing enough, both on the road and on the trainer (trainers…yuck). Three Peaks is a huge ride and you must have the family onboard to do the amount of training required to finish. My first year i followed a training plan which was extremely helpful and i ‘m sure i wouldn’t have finished without it. Like most things the second time round is easier. I think rides like Fitzs challenge and Alpine Audax are a must to sort out nutrition, clothing etc . Extremely challenging but rewarding ride. Will i do it again, think not. Yeah, I reckon that is the big one, having the family on board. You will be spending a lot of time on the bike, probably on weekends when usually you would be spending that time with your family. That is why a proper program is vitally important, to maximise the time that you do have. Good article Sean. You identified all the pitfalls! Regarding nutrition on the bike from my experience and observing other riders in events like Everesting and Haute Route everything becomes hard to bung down the cakehole but especially energy drinks and gels. On Everesting I found towards the finish tins of creamed rice were most tolerable – wouldn’t touch the stuff otherwise! Half and half Coke and water or a handful of jelly snakes stuffed into a bidon topped with water are my mainstays. Glad I’m not a pro – zero sponsorship opportunities there. I’m back to bananas and water. Never thought about creamed rice before though! Thanks for the articles Sean, I share your pain in DNF at Peaks 2017. I’m also planning to return in 2019, this time I want to finish, but mostly to get up the back of Falls without stopping. I lost too much time walking when I needed to keep pushing on the bike. Had some food issues too, couldn’t swallow anything once I left Omeo. I’ll keep an eye out for you! Thanks Peter. Good luck for 2019. I don’t know if I’ll get back there, but you never know. It does burn that I didn’t make it though. Thanks, Sean for your honest exposure of what every recreational cyclist needs to avoid. Great advice use a training program and if possible train with others & complete at least 2 rides over 180km, try to do some bicycle network rides & ask lots of questions. Be honest with your abilities the back of Falls is “BRUTAL” even for serious riders, so ride easy for the first 180km. Use a compact & at least a 32 on the rear. Best nutrition is look up the “Hammer nutrition” website & download their free book, I strongly recommend a product Perpetuum as it is liquid which allows you to consume it without the dry reaching bars cause. Ask yourself do you have enough saliva to swallow as you struggle climbing Hotham in the midday heat?? There is heaps of advice that can be passed on & needs to be tailored to each individual. Best advice I got was plan to have your HR at or below 70% MAX HR for the entire ride until WTF corner (199kms). Following that advice, and salt tablets throughout, stopped my cramping unlike many/most others. Great ride.